This month, you can qualify for a free Nutmeg Vitality oil with your Essential Rewards order of 100PV! Essential Rewards (E.R.) is the totally customizable monthly wellness box that appears on your doorstep on whichever date you choose. It's like Christmas every single month! Choose whatever products you need, and you'll be rewarded with 10%-25% back each month, as well as free promo oils if your order is at or above 100PV, 190PV, 250PV, or 300PV. Click here for more information on how Essential Rewards works. Nutmeg Vitality, Lemon, Northern Lights Black Spruce, Life9 Probiotic, and Sacred Frankincense (unbelievable!) are yours with qualifying ER orders for the month of December! Free Rose Roll-on: Dec. 1-12th! Also - from December 1-12th, all first-time Essential Rewards enrollees on our Oil Collective team who make 100PV (min.) ER order will receive a VERY valuable gift as well... a Rose essential oil roll-on! Known for millennia as an aphrodisiac and as an emotionally soothing ointment, this pricey, precious oil is highly valued for its profound effects on the emotions, skin, and mood. Contact me for more details on how to receive your roll-on! Bake: sub 1 drop for 1 tsp of ground nutmeg in Banana Bread, Pumpkin Bread, Gingerbread Cookies, or dip a toothpick in the oil to sub for just "a dash." Discomfort/aches: Use diluted Nutmeg oil both topically as a massage for your joints, and take Nutmeg Vitality in a capsule internally to reduce the body's response to overuse and irritation. Energy: Due to its adrenal cortex-like activity, Nutmeg Vitality oil is very energizing and stimulating when you're feeling sluggish. Romance: This is a topic for another day. But Nutmeg oil is wonderful diluted as a massage oil, and has amazing effects on the emotions and body... check out "nutmeg oil" on PubMed and you'll see what I mean. 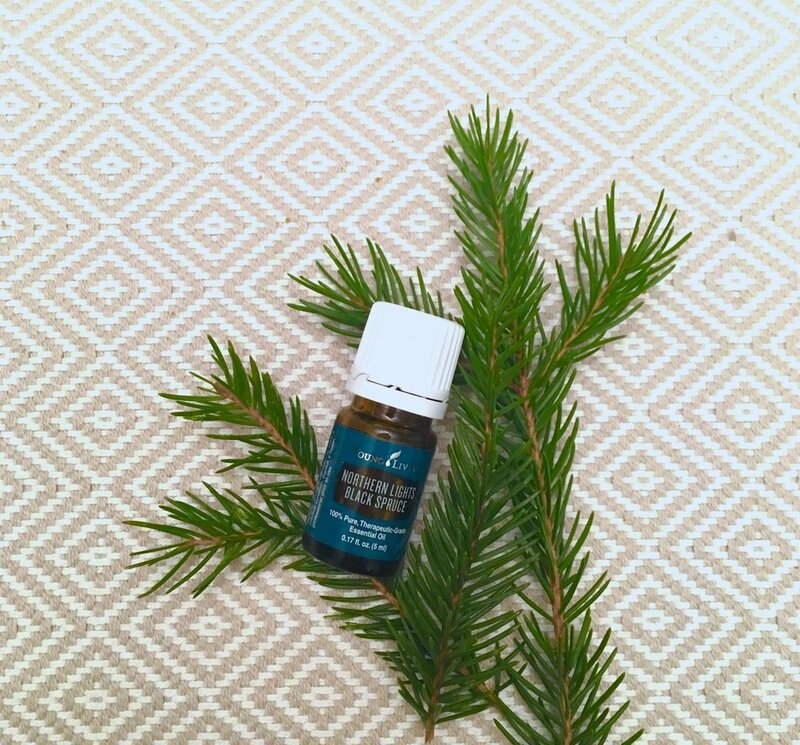 This oil is distilled from the trees in Young Living's Northern Lights Black Spruce farm in Alaska. This is my husband's all-time favorite oil. He reaches for it when he gets home from work on an emotionally-taxing day, and literally, with a few deep whiffs from the bottle- everything changes. Black Spruce is utterly magical when diffused. It's grounding for the body and the mind, has a rejuvenating scent, calms irritation in the body and joints, and is a key component of the powerful emotional support blends Valor, Grounding, Surrender, Harmony, and Envision (as well as about 20 others!). It's one incredible oil! I apply it to my middle back and under my ribs to support my endocrine system, including my adrenal glands when I'm feeling sluggish or wired. Both of us roll it on our wrists and neck when we need to calm our minds down and unwind, or, to get grounded and engage. It's said that the Lakota Indians used it to enhance their communication with the Great Spirit. In any case - its physiological effects on your brain help you to clear out the chaos, let things go, and move forward feeling restored and rejuvenated. Everything's better with lemon. You know it's true. Whether you use it for cleaning, emotion-lifting, or the myriad of uses that deserve an entire blog post - you can never have too much Lemon essential oil on hand. Especially when it's in all the weight loss recommendations (both topically applied and in your water), right? More on this soon! Caring for your whole health with probiotics deserves an entire blog post as well. But for now - take advantage of this free supplement with your 250PV order! When it comes to probiotics, it's unwise to compromise on quality. Heat-damaged, improperly stored, or expired cultures are often what you get when you make cheap probiotics. Young Living is just as meticulous about the quality of their supplements as they are their oils, so you don't ever need to worry about the efficacy of these micro-organisms! 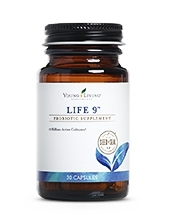 Life 9 has nine strains of 16 billion probiotics, including 2 superstrains: Bifidobacterium lactis and Lactobacillus rhamnosus, in enteric-coated capsules for delayed release and optimal absorption. A 15ml Sacred Frankincense...for free?? This is unprecedented, you guys. Last November I got a 5ml. But 15ml? That's $118 retail. 'Tis the season for giving! Young Living is one of the most generous companies I've ever seen. Young Living is the first and only company to have received permission to distill and export this precious oil from the sacred trees in Oman, once reserved only for the royal family of the Omani Sheikh. The process of extracting the oil (the Omani farmers tap the tree, let it harden, tap it again, let it harden, break it off, cure it (in a cave! ), then export and distill it) is labor-intensive to say the least. If you thought regular Frankincense was the king of all oils, then you're going to be amazed when you search Boswellia sacra on PubMed. It is POWERFUL for brain support, neurological support, skin support, immune support, joint support, and all things healing. It is believed that either Boswellia carteri (YL's Frankincense) from Northern Africa, or Boswellia sacra (from Oman) was the Frankincense given to Jesus at his birth. Read more about Sacred Frankincense here.